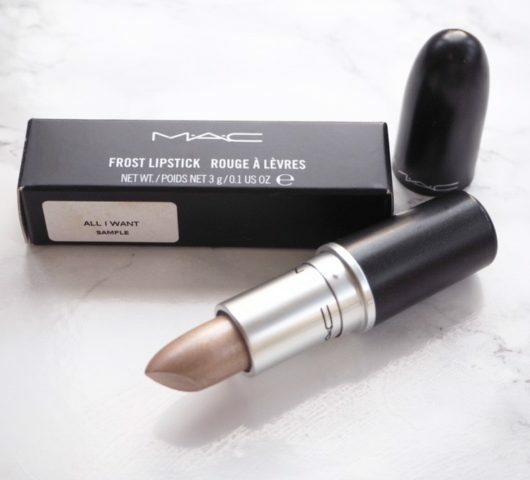 I spotted these over on a US site a while back as a store exclusive, but now they’re heading our way as a Selfridges exclusive. 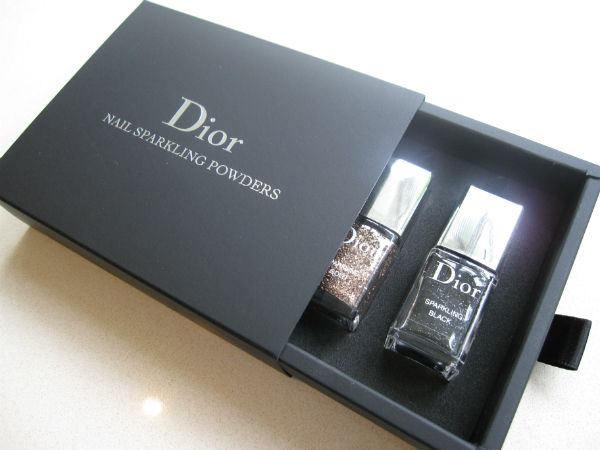 Inside the Dior Nail Sparkling Powders set are two small size bottles of glitter with a dipper and one full size ‘fixing coat’. At the end of the day, they’re nail glitters – finer milled than most and exceptionally sparkly and they give a ‘sequin dress’ effect. If you use the dipper to apply as suggested then the result is random sparkles as you can see in the swatch below. You can add as little or as much as you like to create a greater or lesser effect. I’ve chucked everything on this nail – the black sparkle and the gold – just to show what it is like. It dries really quickly so no hanging around. 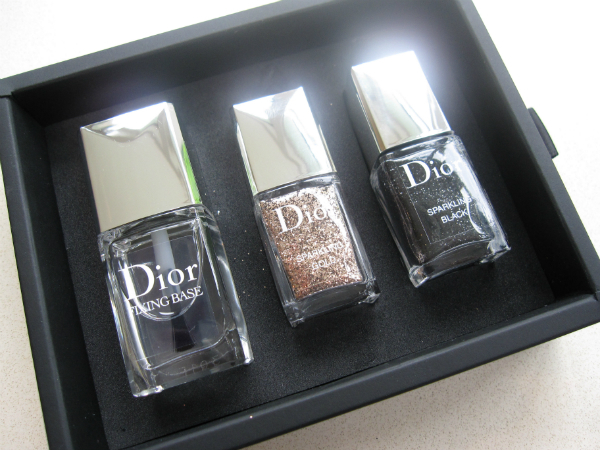 The Dior Sparkling Nail Powders are in limited quantity and those who collect these special limited items (boxed with serial number) will love this – however, it’s a luxury indulgence at £37 for the set. It’s not on the Selfridges site yet but keep your eyes peeled!